Posted on May 25, 2018 at 12:30 pm. 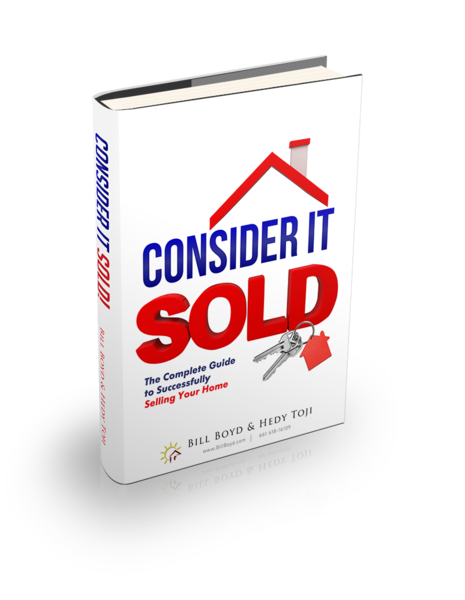 You are thinking about putting your home up for sale, but you have a lot of questions concerning the process. What price shall I ask? How do I prepare my home for sale? What improvements shall I do to bring the highest price? When shall I schedule the moving trucks? What improvements are “past the point of diminishing returns” and not worth the money. Posted on September 18, 2017 at 6:57 pm. Scenario: You’re ready to give up on the landlord business, or maybe you just want to unload one of your investment properties. Selling a tenant occupied property can be a lot harder than you think. If a tenant is on a lease, the lease remains in effect for its full term and they have the right to live there until the lease expires. It is not in the tenant’s best interests to help you sell so they can limit your showings and not show the property in its best condition. Unless you have the tenant’s cooperation, they can hinder your sale and not bring the highest price. Generally, it is a bad idea to offer your investment property for sale tenant occupied. It sounds real easy to have your tenant pay the rent up to and move out right at the close of escrow, that sounds good in theory, but very seldom happens. You can avoid these problems with the proper planning. It is best to speak with your accountant before you make a decision instead of after you have sold the property. If you have lived in the property and claimed the property as your principle residence for two out of the last five years you can sell your property as a principle residence any maybe take your profits tax free. The rule is a married couple can make up to $500,000 profit and a single person can make up to $250,000 profit and PAY NO TAXES. If this property has been claimed as a rental on your taxes and you have never lived there, you will either pay capital gains tax or you can defer your taxes through a 1031 property exchange. If you chose to do a 1031 exchange, there are very strict rules you must adhere to, or the IRS will disqualify your exchange. If you chose to perform a 1031 exchange, you have to identify a specific property within 45 days and close escrow within 6 months. You need to know your market and you need to be able to find a suitable replacement property within the time frames allowed. If your goal is to get out of the landlord business for whatever reason, you might find it easier to just pay the taxes. Your taxable profit is determined by subtracting your base price you paid for the property, any capital improvements and the cost of sale from your sales price. You might find that your tax liability is not that bad. The bottom line is to consult with your accountant, determine your tax liability and develop a strategy BEFORE you offer your property for sale. You will make more money and sell the property easier if the property is vacant. It is not in the tenant’s best interest for you to sell, so don’t count on them being cooperative with the showings and keeping the property in its best condition. As an agent, it is very common to see tenants requiring 24 hour notice to show and only a one or two hour window. The property will not be cleaned up, the window coverings will be closed, the lights will be turned of and the property will show dark and cluttered. If your lease agreement is a long term lease (other than month to month), the lease remains in effect through its full term and a sale does not cancel the lease. Most buyers will pay the highest price if they are going to live there and a tenant in place with bring you a lessor price. You can offer the tenants incentives to cancel their lease. It is all negotiable but one way to do it is to offer to return their deposit and give a certain amount of money upon them signing a new lease and an additional amount upon vacating the property and leaving it is good condition. If the tenants are on a month to month, and you are not in a rent controlled area, you can just give them notice to move. If they have occupied the dwelling less than on year, you only need a 30 day notice. More than one year, 60 days’ notice. Although, it is always better to be considerate and flexible. Try not to give notice during the holidays because no one wants to move during the holidays. Again, this is where planning comes in. The optimal time to sell any property to generate the most activity and net the highest price is the springtime. Although, sometimes we do not have the luxury of taking advantage of the best timing. Plan on giving the tenants notice two months prior to lease expiration and they will start looking for another place. You might find that the tenant had been thinking about purchasing and they are interested in purchasing your property. If they express an interest, make sure you have them qualified by a competent lender before you enter into a transaction. The last thing you want is to enter into a transaction that does not close and you are left with a tenant with a bad attitude that is still in possession of your property. Proper planning and qualifying avoids bad situations. If you are planning to sell your tenant occupied property, start communicating with your tenant and arrive at a solution that benefits both of you. I have seen situations where tenants have been extremely cooperative and I have seen them at their worst. The last thing you want is a hostile tenant. No matter what type of tenant you have, it’s crucial to know where landlord rights begin and renters’ rights end. Posted on August 24, 2017 at 8:44 pm. You awaken to the sound of Quail in the distance. The city is forgotten as you take in the view of surrounding mountains. Your morning coffee is highlighted by a pair of Red Tailed Hawks flying overhead. You can finally find some peace and serenity away from the maddening crowds. 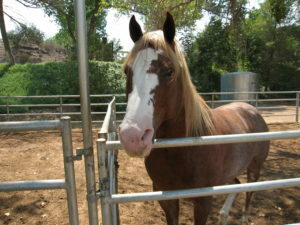 Both Agua Dulce & Acton are sleepy little one-horse towns just a few minutes north of Santa Clarita. The small-town country atmosphere lets you kick off your shoes and relax. There are no streetlights…. Just the stars and moon at night. Enjoy a day of wine tasting at the local winery. Or go for a hike at Vasquez Rocks. It is not uncommon to see people riding horses down the street in the central villages of both Agua Dulce and Acton. The zoning is Agriculture and the average lot size is between 2 to 5 acres. The majority of homes are custom built. The elevation is between 2,500 and 4,000 feet. Which gives you a light dusting of snow in the winter and cool summer nights. 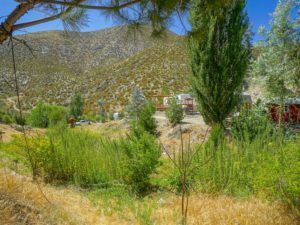 If you want to have horses, dogs, chickens or goats, the zoning allows it. You can even build a workshop for whatever hobby you wish. 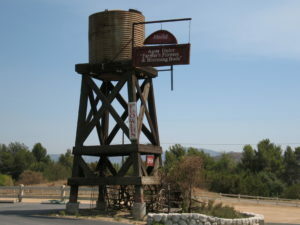 Both Agua Dulce and Acton have their own Community Standards Districts to protect their rural lifestyles. 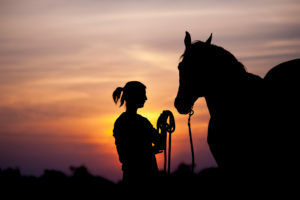 If your passion is horsemanship, there are miles of riding trails, training facilities and local events for you to pursue whatever form of horsemanship you desire. 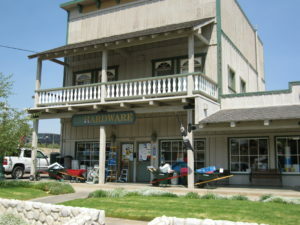 Grow a garden, build a green house, have some chickens or restore old cars in your own workshop. You can explore the culinary delights of Le Chen’s French restaurant or sample the wines of the two local wineries. You are now free to create your own lifestyle at your own special place. 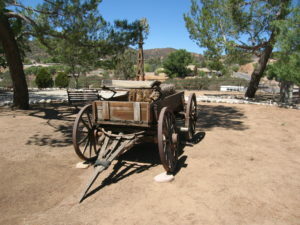 Agua Dulce, which means “Sweet Water” in Spanish, was first inhabited by the Tatavian Indians and the Vasquez rocks were their favorite shelter. The park is named after the famous Bandido, Tiburcio Vasquez, who used to hide out at the rocks. 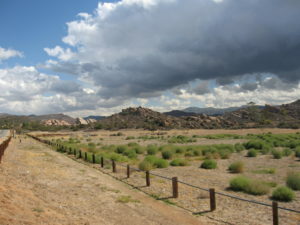 Today, the Vasquez Rocks County Park has been featured as the backdrop for many movies and TV shows. 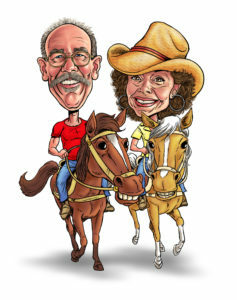 It is open every day for hikers and horseback riders. 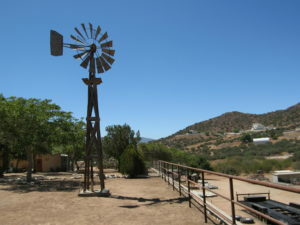 Another 10 minutes north of Agua Dulce lies the sleepy little town of Acton. 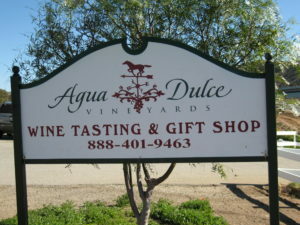 It is considered Agua Dulce’s sister town and shares the same lifestyle and school district. Acton started as a mining town in the late 1800’s with its two gold mines: The Red Rover and The Governor. Acton is also known for its agriculture: peaches, pears, honey and the most beautiful lilacs anywhere. Look around you anywhere in Southern California and you will not find a small town rural lifestyle within commuting distance of Los Angeles where horses have the right of way. Learn about wells, septic systems, soils, wild animals & MORE! Posted on August 6, 2017 at 9:10 pm. After being family owned for the last 70 years, the Monte Cristo Mine is now being offered for sale. 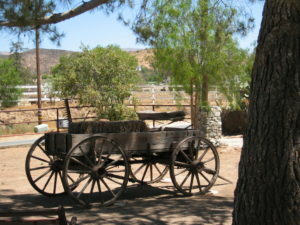 This historical gold mine dates back to the padres who mined the gold for the San Fernando Mission. It is even rumored that the famous bandido, Tibercio Vasquez had mined in the area close to the Monte Cristo. 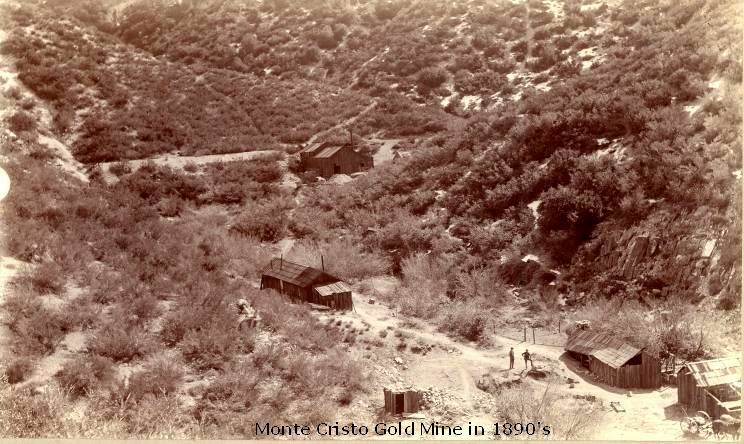 In it’s heyday, the Monte Cristo was one of the largest producing gold mines of the San Gabriel mountains. Fred Carlisle brought it to full production in the years between 1923 to 1928. 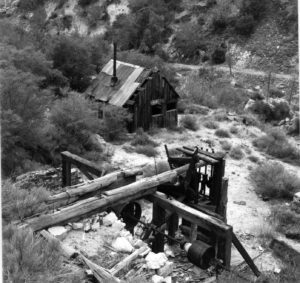 According to the California State Mining Bureau, a total yield of $70,000 was recovered from The Monte Cristo Mine in 1927. Old-timers, however insist the figure was more like $200,000. For the last 70 plus years, it has been a getaway for a Hollywood movie family to escape from the hectic life of Hollywood. Wood burning stoves, kerosene lamps and the sound of the quail in the distance were the order of the day. The family put a lot of love into The Monte Cristo and enjoyed many years of special times at a special place. Your family and friends can now enjoy this private paradise only an hour’s drive from the city. Forget that the city exists and create your own reality at this special place. 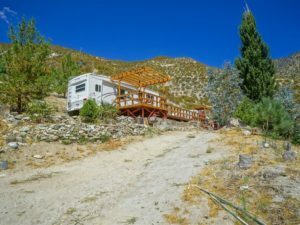 There are 3 self-contained RV’s and a cabin for everyone to stay. There is even a tractor, generators, tools and equipment to keep you busy with your projects. The Angeles National Forest surrounding the Monte Cristo is now a National Monument. 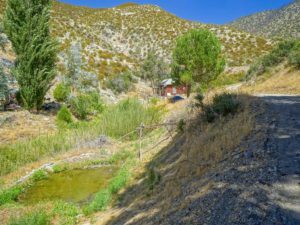 It does not allow any new mining claims to be filed but honors all existing mining claims and respects full private property rights for existing private property. Posted on August 3, 2017 at 6:26 pm. I woke up early this morning just to watch the sunrise on the water. I am amazed at how vibrant the colors are during the transition between dark and light. The sunrise doesn’t care if we watch it or not. It will keep on being beautiful, even if no one bothers to look at it. What a wonderful experience to watch the world wake up. 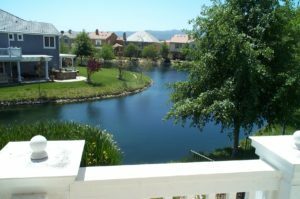 The community of Valencia Bridgeport has embraced a nautical theme creating charming homes around a picturesque 15 acre lake. It creates a lifestyle unlike any other Valencia community. Plan an afternoon escape in a romantic rowboat. 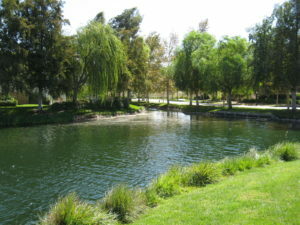 Or enjoy the many miles of Biking and Walking paths around the lake. Bridgeport is an intimate village where you can walk nearly anyplace you want to go. A lakefront Paseo will lead you to the school, park, pool and community center. 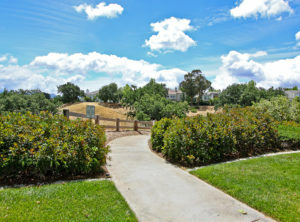 It is also connected to the 25 mile Valencia Paseo system where you can walk or bike to town center. Two miles of shoreline Paseos also follow a river trail system through a nature preserve that protects the fragile wetlands. You might hear the croak of a frog or a family of ducks. Bridgeport is home to all sorts of families – people, as well as wildlife. 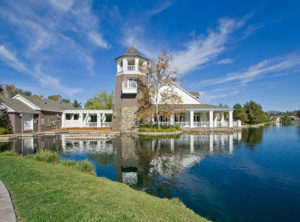 The private Lake Club is Valencia’s largest and most comprehensive community center, open only to Bridgeport residents. The 7,000 square foot building wraps around the scenic courtyard and features a banquet hall that can seat up to 200 people overlooking the lake. Imagine planning your next wedding, birthday or social event at this lake front facility. Whatever the occasion, the waters of the lake reflect the joy of Bridgeport living. The neighborhoods of Bridgeport offer a distinct living experience. Some homes enjoy lakefront addresses, while others are oriented to maximize views of the lake. Watch the 4th of July fireworks from your deck that are presented every year at town center. You can even ride your bike to work and leave your car at home. Yet every Bridgeport resident is able to take advantage of the numerous recreational, retail and employment opportunities of the surrounding master-planned community of Valencia. Valencia Bridgeport is a wonderful place to call home. Posted on August 3, 2017 at 3:31 pm. The first rays of sunlight stretch across the clear blue morning sky. From atop the Valencia Summit, you see lights flicker and fade as the community awakens below you. And you wonder how you could of lived anywhere else. 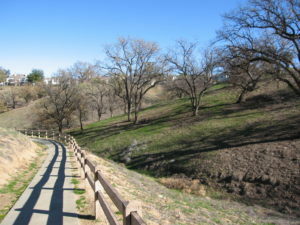 I took a walk this morning in the 80 acre nature park on the Valencia Summit. The sun was shining, the birds were singing and I was amazed at all of the wildlife. Hawks, Rabbits, Squirrels and even an occasional Road Runner. The crowded city was forgotten and I felt I was in the country. The regular crowd was out walking too. People with their dogs, children, Seniors and the fitness groups. 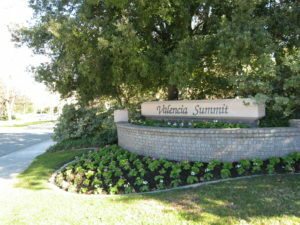 The Valencia Summit was originally the “Beverly Hills” of Valencia. Even though it was developed in the 80’s, it is still the best location in town. 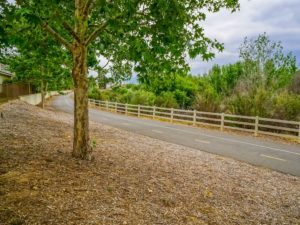 Five minutes from the freeway and within walking distance of the Valencia mall, but still an “Island in the Sky’ as far as being a special place. The Valencia “Paseo” (pathways) system hooks up all of Valencia with walking pathways of scenic beauty without ever having to cross a street. Click here for a copy of the Valencia Paseo map. 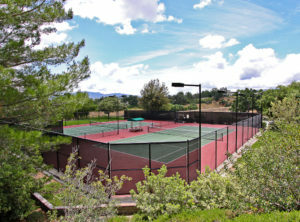 Swimming pools, Tennis Courts and club house are just some of the amenities set in an area of scenic beauty. The low HOA fees of central Valencia have been known to offer the most at the least price. The San Marino Collection is a touch of Mediterranean romance. Homes with red tile roofs, high ceilings, arched openings and interior Atriums. The Chelsea Collection artfully blends traditional country ambiance with new style architecture. Vaulted ceilings, skylights, open rooms, glass enclosed wood fireplaces and three gar garages welcome’s you home to your country cottage on the Summit. The Windermere Collection have been described as Elegant, Stately and sophisticated. As the largest homes on the Summit, they were created to enhance your enjoyment of life’s pleasures. The Stratford Collection is a gated community of large townhomes set on a picturesque hilltop overlooking the Oak studded nature park. Posted on July 21, 2017 at 4:45 am. We review the hike through Vasquez Rocks in Agua Dulce, California. This is a great section of the Pacific Crest Trail full of interesting landscapes which are awesome for photographers, rock climbers, hikers, bird watching, and it is full of wildlife. This location is famous for many reasons which include more movies and television shows than you might realize, including the famous fight scene from the old Star Trek between the Gorn and Captain Kirk. There’s a great tunnel that goes under the 14 freeway that we explore so check it this out! We also dig in to a little history of the bandit who this park is named after, Tiburcio Vasquez.